Malcolm Turnbull was all ears when the Foundation for Alcohol Research and Education (FARE) recently proposed increasing taxes on alcohol, arguing this would reduce alcohol consumption and associated problems. The plan would likely result in higher prices for drinks at licensed venues and help fill federal government coffers, but will it actually achieve its stated goal? And does the possibility of that occurring justify the means? FARE regularly calls for increases in alcohol taxes, and has previously been instrumental in convincing the government to raise prices. Now, the anti-alcohol lobby is proposing a 10 percent increase in the excise on all alcohol, as well as a higher tax on tap beer to match that of packaged beer at bottle shops. 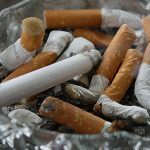 The group has drawn upon the success of anti-smoking campaigns, prohibitions on smoking is certain areas and raised tobacco taxes in reducing cigarette sales. 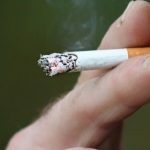 Just last year, the federal government agreed to continue its tax hike on smokers, passing legislation to increase the tax on tobacco to 12.5 per cent each year, until 2020, which will make cigarettes about $40 a packet and mean that smokers are paying three-quarters of the cigarette price in tax. 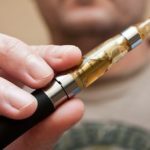 Since the recent moves, smoking rates have been in decline and fewer Australians are lighting up than ever before – only about 13 percent of the population now smokes tobacco. So, in theory, it makes sense that higher taxes on alcohol would have a similar effect on our drinking habits. FARE claims its proposal would lead to Australians paying $2.9 billion in extra taxes while reducing their consumption of alcohol by an estimated 9.4 per cent. It has called for a part of the money – $27.5 million, to be re-invested into preventative health measures – enabling the government to use the balance of $2.6 billion or so at its own discretion. The organisation says the governments needs to make it more difficult for binge-drinkers too, by cracking down on ‘happy hours’ which encourage cheap drinks within a certain time frame. The Foundation’s research suggests that while many Australians have a healthy relationship with alcohol, one in five drinkers are consuming excessive amounts of alcohol. 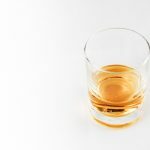 The organisation points to research which suggests that our relationship with alcohol can indeed be toxic one. Alcohol affects the brain’s decision-making capacity and emotional responses, which can lead to poor choices and dangerous behaviour. Indeed, the drug is linked with violence far more than any other substance. In one survey, 26% of Australians reported being affected by alcohol-related violence compared with 3.1% by violence arising from the use of illegal drugs. Hospital emergency department statistics suggest that the number of presentations due to amphetamines – the class of stimulants which “ice” belongs to – pales in comparison with those involving alcohol. The effect is widespread. More than a million Australian kids are living in households where the drinking of their parents or guardians is a concern, and about 10,000 of them are in the child protection system as a consequence of drinking. But while increasing may go some way towards reducing the number of drinks Australians consume, tougher regulations, price increases and prohibition are not always the answer, as they can create their own set of problems. 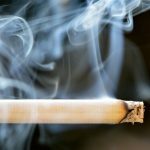 For example, the official reduction in smoking rates does not take into account the spike in illegal alcohol sales, with many stores across Sydney now stocking cheap, illegally imported cigarettes. You can even jump onto internet sites these days and purchase cigarettes for as little as $5 a packet, which are then sent to your home. Indeed, prohibition often leads to an increase in illegally imported or produced substances, which can be poorer in quality and lead to greater health and other problems. A price hike could even lead to those who are addicted to alcohol being more likely to resort to other forms of illegal behaviour to fund their habits, and such a move may impact their ability to sustain themselves and their families. Tightening restrictions and increasing taxes could also lead to an increase in people drinking at home rather than at the pub or out at a club, which could have an adverse impact on family violence and influence the behaviour of children. So while raising taxes may have some effect on reducing drinking, it could also have unintended consequences which undermine the desirability of such a move. Many believe that education and a cultural change are the way to change unhealthy drinking habits, rather than tax hikes and enforced restrictions.